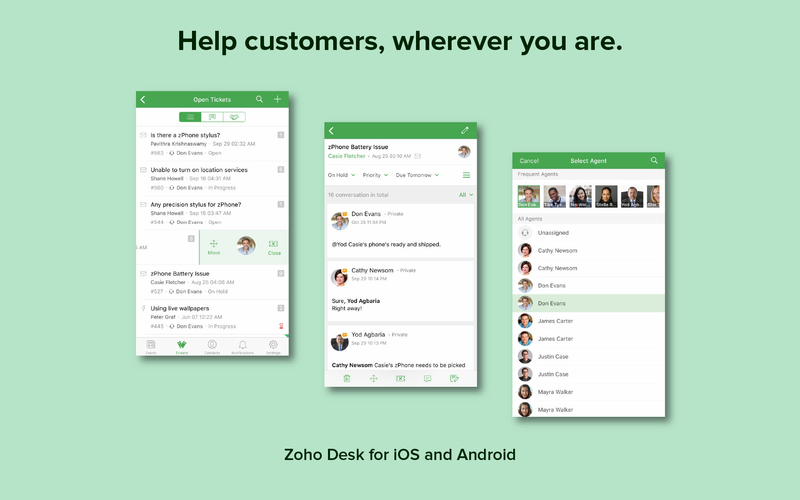 What is Zoho Desk ? 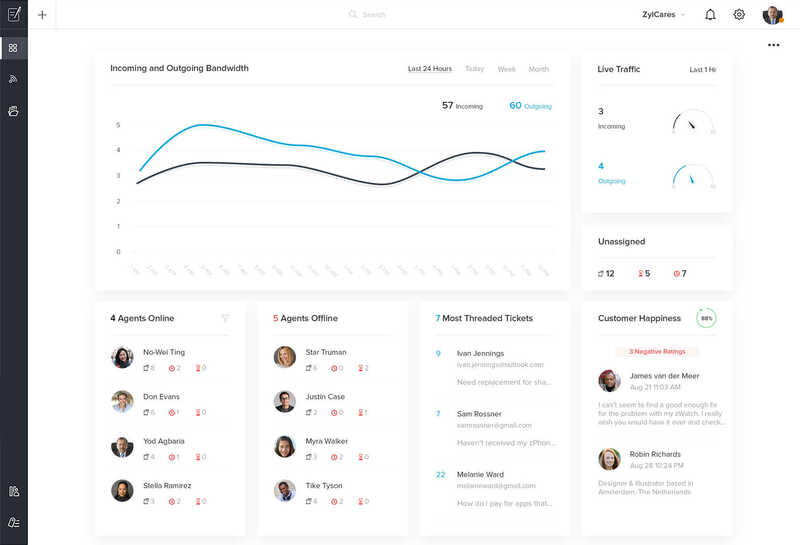 Industry’s first context-aware help desk application. How much does Zoho Desk cost ? 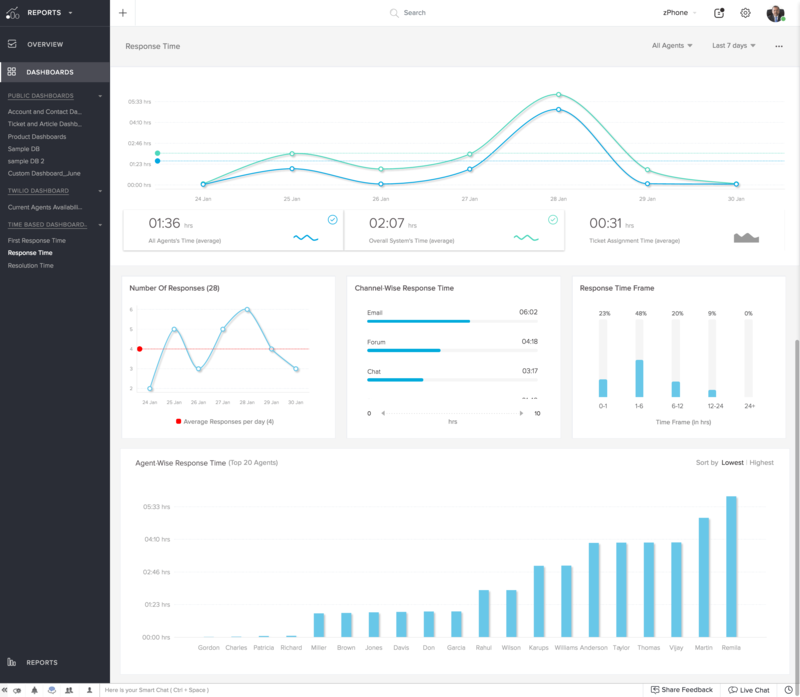 The pricing for Zoho Desk starts at $12.0 per user per month. 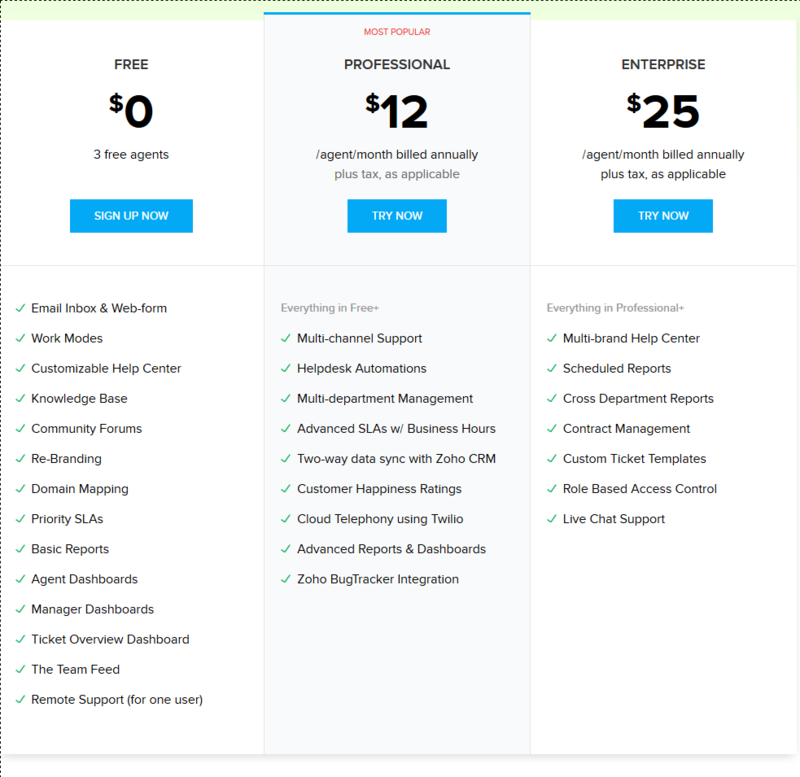 Zoho Desk has 2 different plans such as - Professional at $12.0 per user per month and Enterprise at $25.0 per user per month. Zoho Desk also offers a Free Plan with limited features. "Easy and gets the job don"
How easy it was to set up and get resources in place. Nothing yet. Each feature I have tried and tested, works as expected. 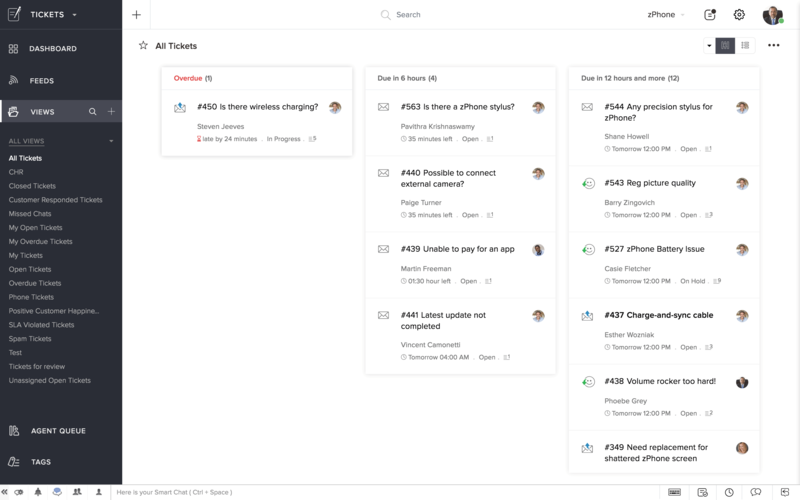 Works very well with our help desk flow and offers enough customization options to do what we need it to do. Easy to use and for other users to adopt when they first start. Very reliable. 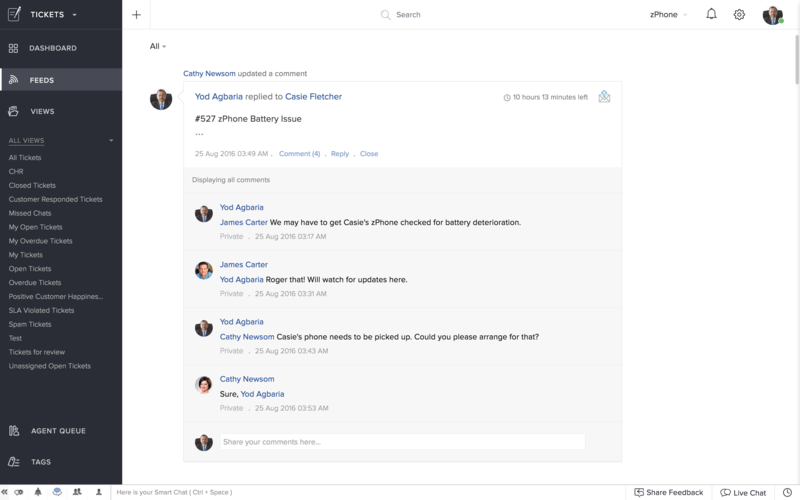 Live chat integration is very easy to use and is very useful on our customer portal. Being able to create our own email templates using HTML gives us the customization we need to notify our customers. There can be times where the system runs slow, but otherwise it's a pretty stable and reliable system. They are very responsive to feedback and ideas for the system, but don't always implement or get feedback on how people would use it. It's a ticketing system that seems to adapt to what you need. It's customizable and it has potential to grow. I like how it is able to integrate with teams. I like how there are different ways to submit a ticket. Not able to see much of the downside until I am able to test it more but for now I know that there is no way to be able to create a scheduled ticket. For example when there needs to be an on-site task. Or a reoccurring task. 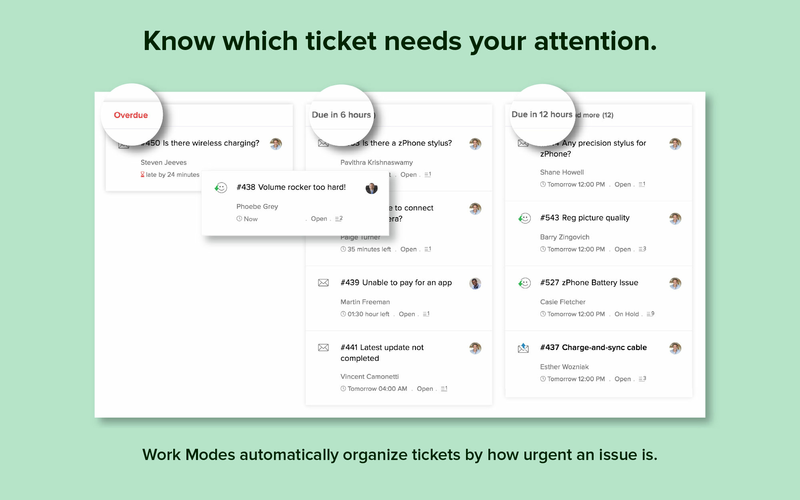 The problem we are solving is to be able to track tickets effectively and to be able to have multiple ways for our end users to submit tickets. 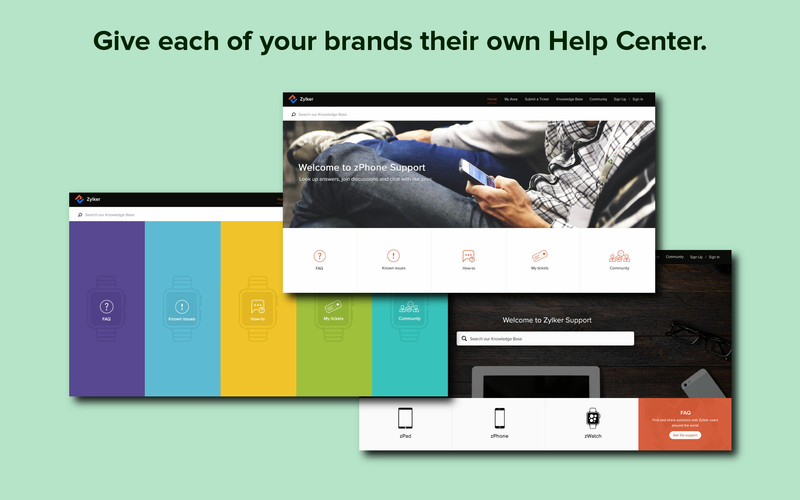 I have used Zoho Desk for the task of organizing customer support services. Pros: Zoho Desk has proved to be useful and convenient. It significantly simplified my work load. The new UI is much more user-friendly and pleasant. 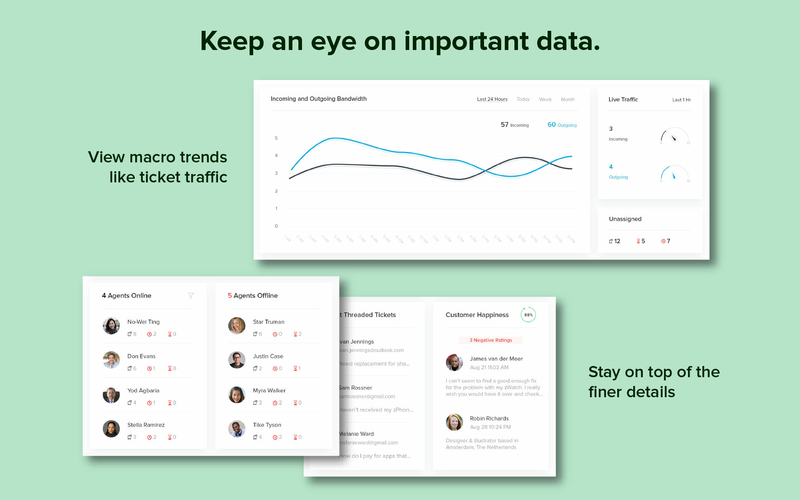 Cons: The mobile version of Zoho Desk does almost everything that the desktop version allows you to do. However, it can be improved. Specifically when it comes to having access to the task option in moblie, and the lagging when a conversation gets lengthy. Tends to be a bit slow at times. "My review for excellent software zoho desk"
It is very clear and easy to use. It's very basic and you can create different ticket systems for your clients as well. Ticket handling could be a little better. Their supporting team is quite slow they take time to respond. 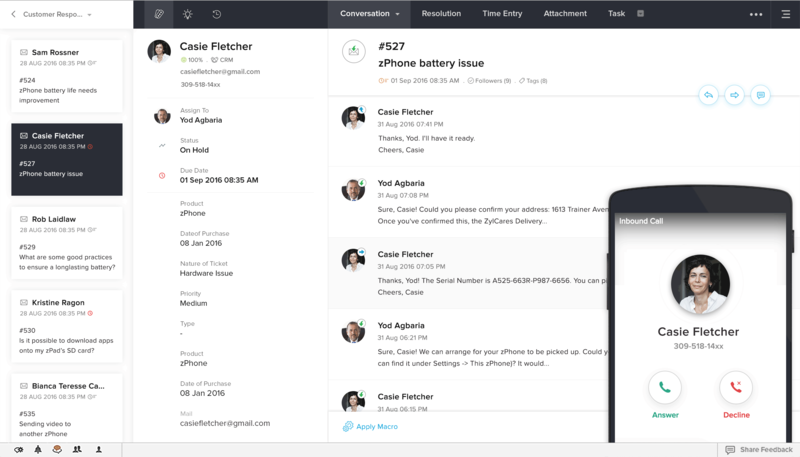 We have been manually tracking all the emails and calls for our support and we will be using Zoho Desk to give us a overview of our customer support. 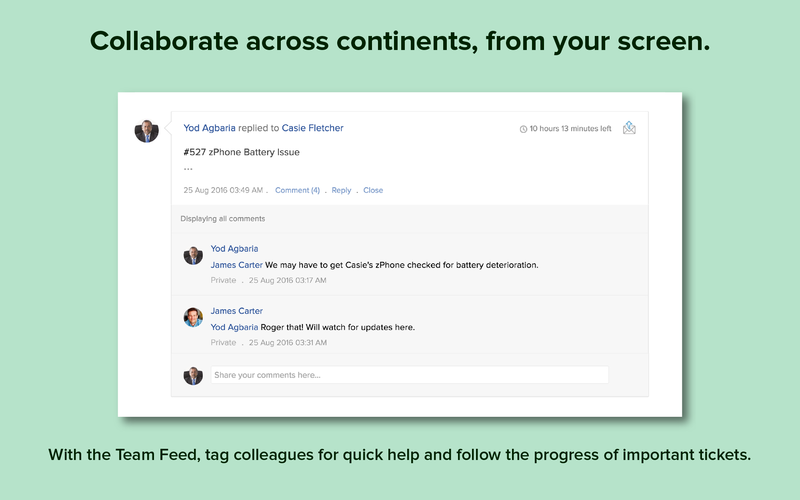 Since it’s not one of the email-business mega-platforms, our staff needed some time and coaching to acclimate but once they did, our communication flowed great. 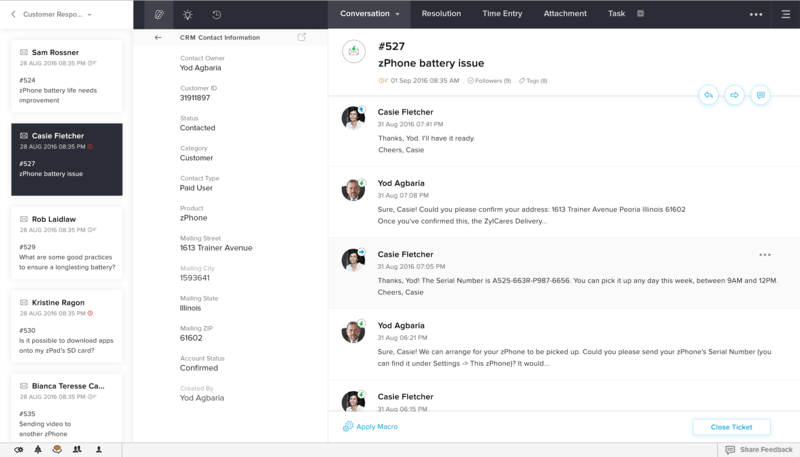 Immediate communication among customer support staff through messaging feature; sharing emails with multiple possible responders. "Simple and easy to setup"
The price, ease of setup, easy to navigate platform for both myself and clients. A little confusing to setup clients and the different levels each support agent can have. It is helping my communicate with my clients. They are now able to log tickets directly and see updates on each active tickets that are open.